Boeing is set to report earnings. Investing.com – Here’s a preview of the top 3 things that could rock markets tomorrow. There’s no slowing down with earnings tomorrow morning. 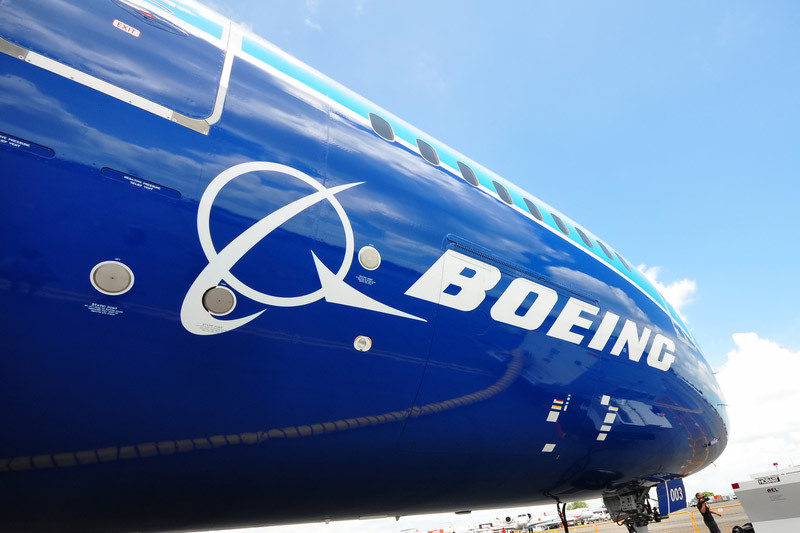 Among closely-watched names will be Boeing (NYSE:) and UPS (NYSE:), with earnings from both companies expected to rise from the year-ago period. Investors will look to Boeing’s for any indications of increased input costs, as seen by fellow Dow component Caterpillar (NYSE:). And UPS’ will give some more color on how companies with exposure to China are faring during trade battles. AT&T (NYSE:) will a day after rival Verizon (NYSE:) topped subscriber numbers. But investors may be more interested in the company’s content plans with Time Warner than how much the new iPhone helped its bottom line. After the bell, tech heavyweights Microsoft (NASDAQ:) and Advanced Micro Devices (NASDAQ:) will report. And Tesla (NASDAQ:) is also on the calendar. The company’s shares climbed today after longtime short-selling nemesis and gave a thumbs up to Tesla. If earnings aren’t enough, the economic calendar is heavier tomorrow, with a focus on housing data. The have been disappointing and many look on the sector as an early indication of broader economic weakness. numbers for September arrive at 10:00 AM ET (14:00 GMT). On average, economists expect that sales of new homes last month edged up slightly to an annual rate of 630,000. At 9:45 AM ET, Markit’s preliminary measures of manufacturing and services activity are issued. The for October is expected to edge down slightly, with the is forecast to rise from the previous month. had a wild ride today, but not for the reason many expected. Instead of prices jumping on Turkish Prime Minister Recep Tayyip Erdogan’s speech about the death of journalist Jamal Khashoggi, they tumbled as Saudi Arabia went on the front foot and promised . While tensions between Saudi and the West are certainly not over, it was enough of a signal to quell some market fears about a supply shortage when Iranian sanctions kick in. Prices could sink further if the EIA reports another outsize build in U.S. oil inventories. Analysts expect that the rose by about 3.7 million last week.